Just a short introduction to my first of many Children’s Books that I will be featuring on my blog. My stories are printable or you may download them onto a tablet or pc. Many of my children’s stories are short and sweet, but some are long with a lot of twists and turns. However, I will start with the most recent one. Short and sweet. For all you Moms, Dads and Grandparents who might be looking for a short story to print out or download to read to your kids or grand kids, I know you will love this story. 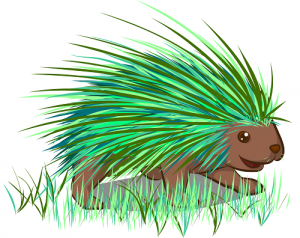 This is a story about, “Needles,” The Green Porcupine. I have written many children’s books, and I always try to put myself into a child’s mind and think about how they will react to the story I am writing. It jogs my imagination and expression to write the most interesting kid’s stories possible. 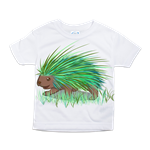 I have written “Needles, The Green Porcupine, to show children how important it is not to be cruel to people or animals when they seem different. 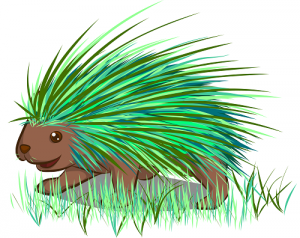 Needles, The Green Porcupine, is different. All the animals in the forest knew when Needles was coming, especially at night, he would glow like a wave of green color. As Needles came upon them, they would scatter for fear of his green quills. But, Needles never hurt the animals in the forest, he was just trying to be their friend. The story ends well, but the message in a child’s mind will remain. It is enjoyable, interesting, and educational. In my minds eye, I see this story as a future reference to children as they grow and enter the realm of adulthood. When you do read it to your children or your grand-kids, please leave a comment. Your approval is important to me and I thank you in advance for it.